Dr. Wagner and his staff are pleased to welcome you to our Orlando-based practice. We are committed to providing the highest quality eye care in a relaxed, caring environment using the latest instrumentation and technology. During the last 20 years Dr. Wagner has developed a broad-based practice that is free of HMO influences. We are active in pre-op and post-op cataract and LASIK care through several eye centers. We are presently accepting new patients. 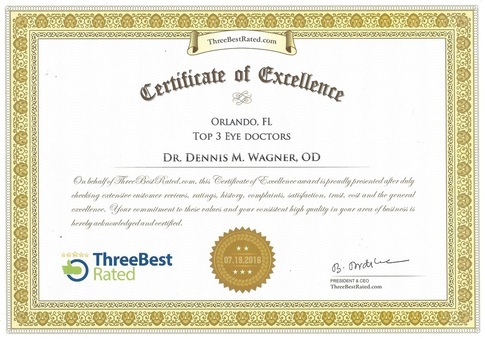 Congratulations to Dennis M. Wagner Od on being the on top Optometrist in Orlando ranking of 2015. 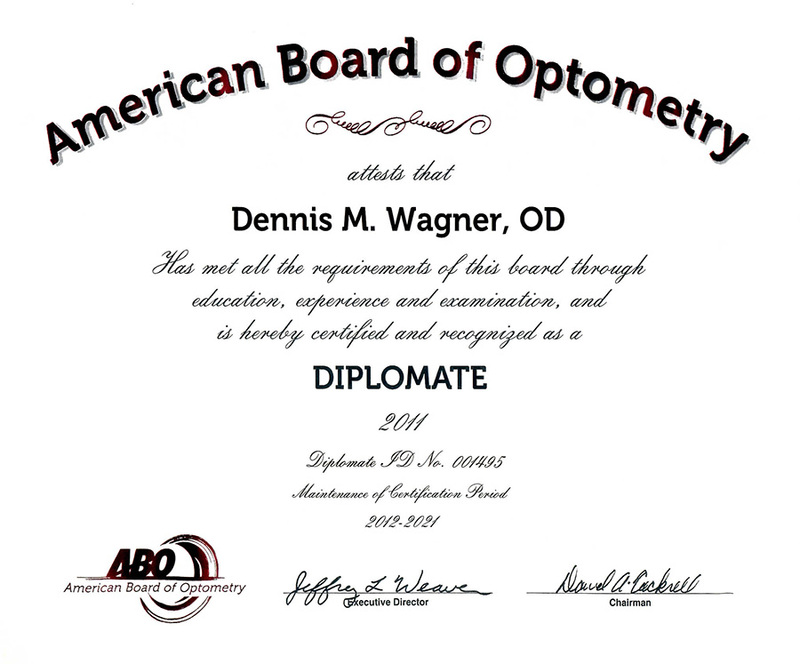 Wagner, Dennis M has been recognized as one of the top Orlando Optometry practices. We partner with YourLens.com so that you can order contact lenses at your convenience and receive the best quality of care. Click on the link and set up an account to access your prescription and place your order.